Take I-95 North to Exit 286 (Oakfield Road, Smyra Mills). Go West on Route 212 for 12 miles, this will take you to Route 11 On Route 11, go North for 62 miles, passing through Masardis, Ashland, and Portage. Turn left at our sign, which looks like the header of our website, and our little chunk of heaven is 1/2 mile down on the right. If you are having trouble finding us, please don't hesitate to contact us! 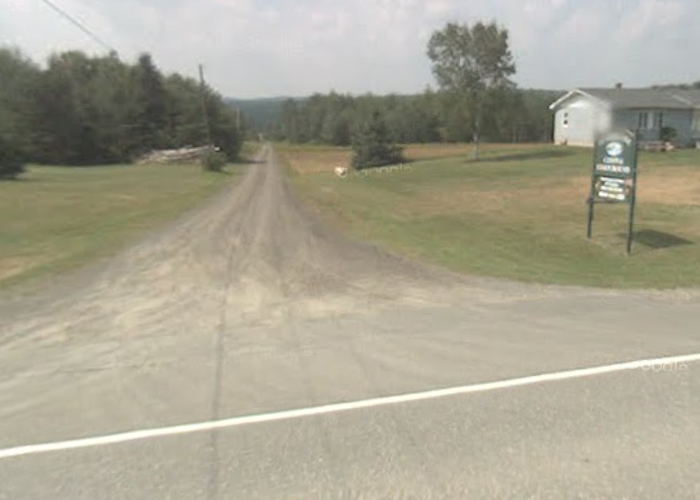 Instructions: This google map unit starts out in Eagle Lake Maine, the closest town to our little hideaway. 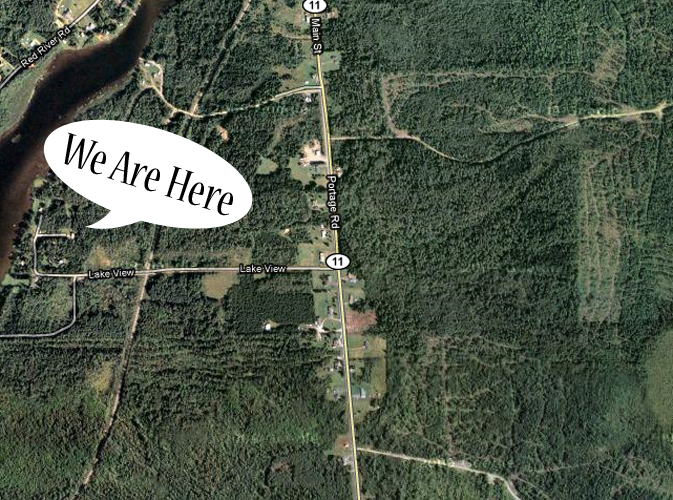 Eagle Lake is located 2 miles north of us, so in order to find us on google maps, follow route 11 south from Eagle Lake, and over Fish River. Continue until you see Lake View Road. 1/2 mile down lakeview road and you will find our cozy slice of heaven.